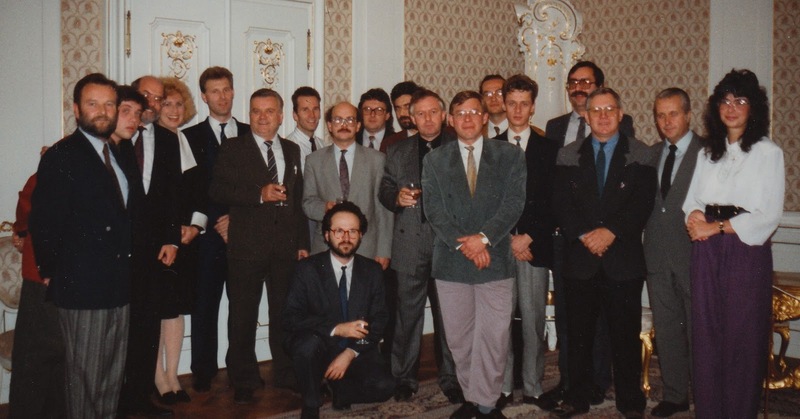 This last week, we celebrated 20 years since the start-up of KNO Česko in Prague in Autumn 1991. Steven Kelly, who founded KNO after military service in 1979, and partner M Mari Novak who joined him in 1984, arrived in Czechoslovakia soon after the fall of communism. 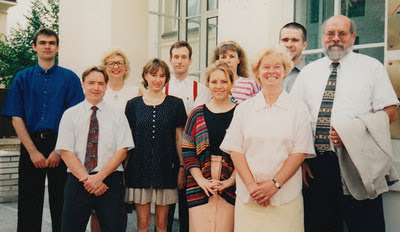 Starting out in initially in a small flat, they soon opened up the first office at the Benešovská 21 villa in the Vinohrady district of Prague. 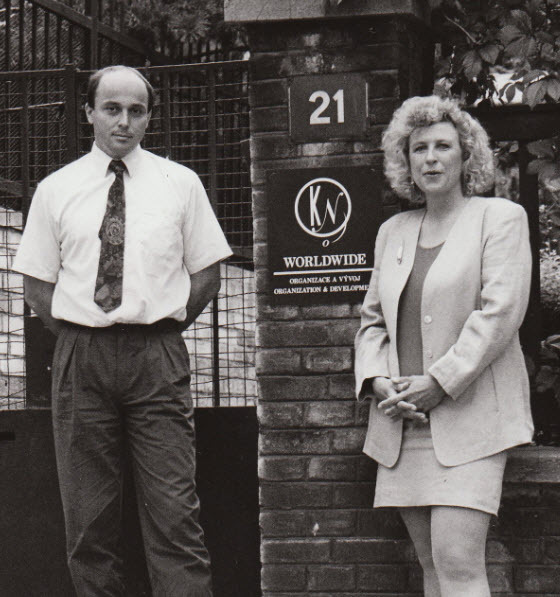 The early staff started quickly with two projects - the beginning of a 5 year sales and service training relationship with GM/Opel and the introduction of country-wide salary surveys with Coopers and Lybrand, later to become PricewaterhouseCoopers. 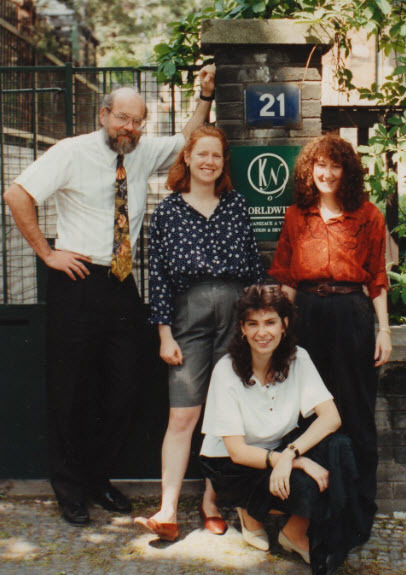 In 1993, KNO started the beginning of a decades long partnership with World Learning, managing the USAID funded training initiatives in support of the ongoing reforms in that period. 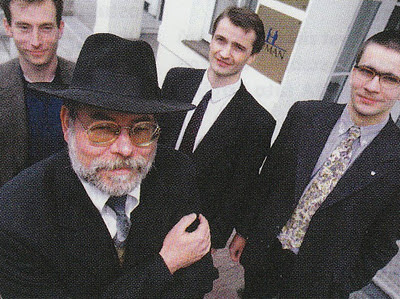 In 1995, KNO was joined by Hana Hanibalová, for coordination of these program efforts. In 15 years, over 70 training programs were conducted in Prague for USAID audiences from many countries. 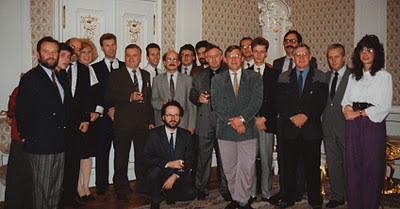 Hundreds of Czechoslovak managers were trained during the country transformation as well. 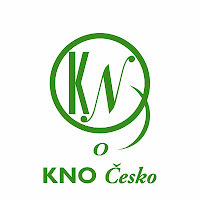 In the past 4 years, Hana and manager colleague Michaela Karásková, who joined KNO in 1999 focusing on customer service research, have taken the majority ownership in the Czech firm. 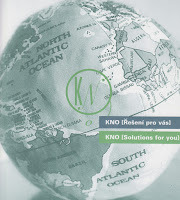 During the past 20 years, KNO has provided quality consulting, training and research performance support to many of the top businesses in the Czech Republic. Notable collaboration efforts are linked here. 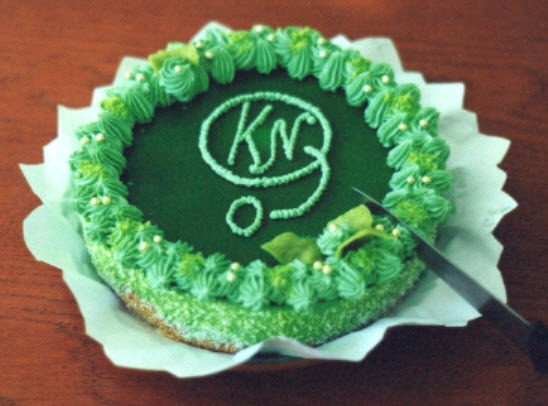 Several company milestones from 20 years of operation are detailed on the KNO website. 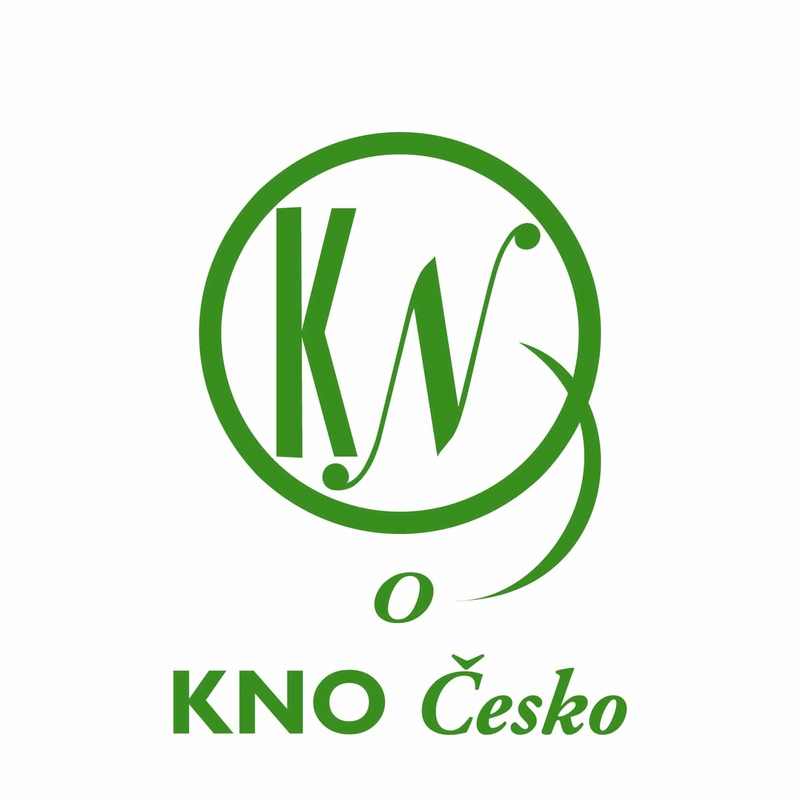 Below are a few historical team photos from the last 2 decades of KNO Česko operations. 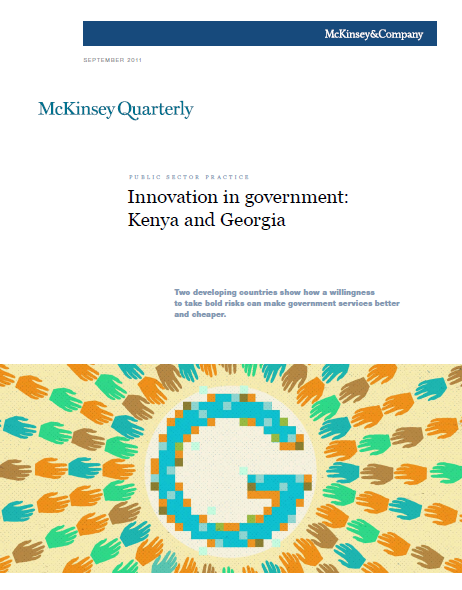 A McKinsey report issued in September discusses innovations in government services in transitioning countries. 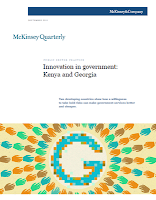 Focused on Kenya and Georgia, the analysts detail some of the changes in government services in the past few years. The short report is linked here. 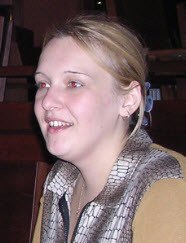 Much of the Georgia story discusses the improved services of the National Agency of Public Registry (NAPR), although it is not identified as such in the article. The agency works under the Ministry of Justice and handles much of the paperwork registration and certification detailed in the story. What makes this story so remarkable is that this progress did not happen by magic. The Public Registry was one of a small group of government institutions selected for American donor support in 2006 as an element of the USAID funded Public Administration Reform program. 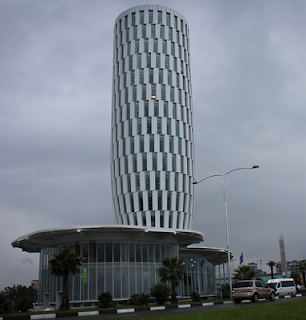 The implementing contractor was the consortium team MSI and AED. 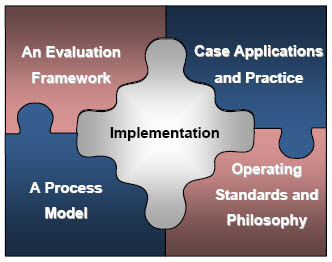 KNO consultant M. Mari Novak was hired to do the initial performance assessment of the NAPR, define priorities for action, indicators of success, and to design initial interventions to move the agency forward. At the time, the CRA offices were trading floppy discs with data across the country, and struggling with a tiny budget. Meanwhile, KNO consultant Steven Kelly was working in Batumi doing a similar assessment with the Autonomous Republic on the Black Sea. It was winter, and the worn government concrete building was so cold that meetings were held in coats and gloves. Both Mari and Steven as certified Performance Experts, applied the methods of Human Performance Technology (HPT) to addressing the capacity building challenge. From these early beginnings, discrete intervals of consultancy and technical assistance were provided during the following years, from both American and other funding sources. The NAPR was fortunate to have a very progressive manager (since promoted within the Ministry of Justice). 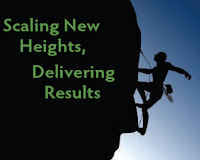 He was able to manage the support made available in the upcoming months - help with strategic planning, capacity development, etc - to build on his agencies strengths toward the "everything in one place" and the "customer is king" vision. Meanwhile, other parallel advisory efforts in support of improving business registration, customs processes, and overall administration where underway funded by USAID. Substantial additional funding was made available by the EU and other international donors to support the progress being made. It was a true example of capacity development - momentum building year-by-year in a sustainable fashion, supported by multiple donors. Of course, the true credit for the superb results fully rests with the NAPR managers and staff, supported by the Ministry of Justice. They were able to discern what support they truly needed, not let the donors dictate emphasis based on their own agendas, and engage the staff to upgrade service levels. It is a great case study of capacity development really working. At the end of September, KNO partners traveled to Skopje, Macedonia to attend the ISPI EMEA regional performance conference. As a highlight of the conference, Dr. Fatmir Besimi, the current Minister of Defense of Macedonia, attended the conference to participate in a simulation. The simulation targeted a live case from 2009 when Dr. Besimi was the Minister of Economy. 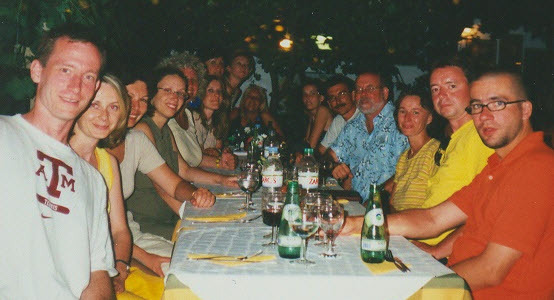 At that time, KNO partner Steven J. Kelly lead a team of local consultants Tanja Georgievska and Ivana Strihic (from World Learning Macedonia) in a USAID funded assessment and technical assistance to the Minister's cabinet that improved operational and communication results. Partners Mari Novak and Anna Čermáková also presented (along with colleague Timm Esque from EMC) the method and successes of Performance Driven Project Management. Information on PDPM is linked here. 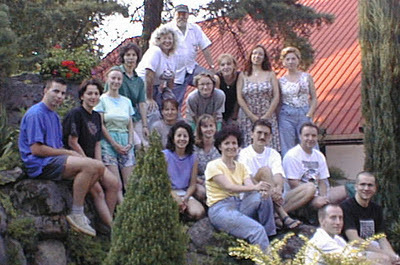 Staff members from American Chamber of Conference offices in 4 countries (Hungary, Slovakia, Bulgaria, and Czech Republic) gathered below the Slovak Tatry Mountains (Nova Lesna) in late August for a two and a half day training. Highly interactive, the focus of the program was on building individual skills in communication, project planning and execution, as well as time and resource management. As a portion of the learning, participants took on several outdoor simulation tasks to challenge their abilities and enhance skills. 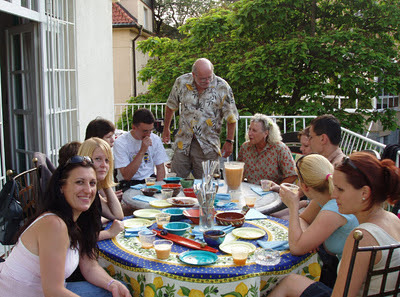 Several illustrative photos below provide a small window on some of the physical aspects of the program. This short video below shows several innovative (and entertaining) skits focused on sharing ideas of how to promote the Amcham message to new members. 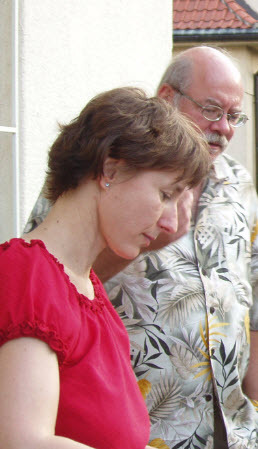 The training was facilitated by KNO partners Mari Novak and Steven Kelly. The problem in most organizations is not strategy, but rather execution. That is... execution in the midst of the daily grind, the fire-fighting. 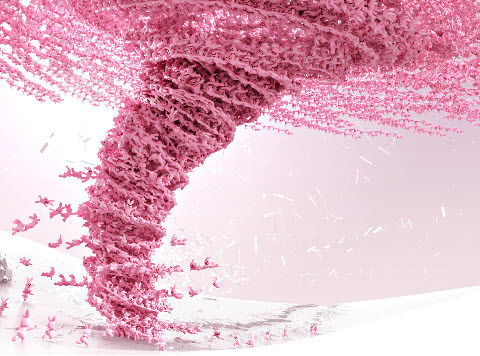 What the FranklinCovey organization calls the "whirlwind". It is here that the most well defined and important goals are lost in the urgent rush of day-to-day events. There are specific, but discipline demanding, steps to overcome this daily immersion of events ebbing away at your important goals. 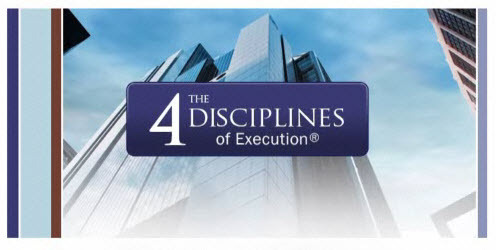 The FranklinCovey team has produced an excellent 20 minute overview to the 4 Disciplines for successful Execution. Link here to watch the presentation - the 2nd video under the short promotion piece. Measurement of return on investment of training is debated fervently, but most firms proceed on gut instinct - so says a recent article at CFO.com. 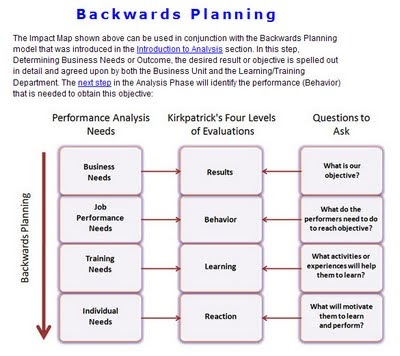 Jack and Pattie Phillips of the ROI Institute have been working in the area of project evaluation and calculating return-on-investment (ROI) for several decades. 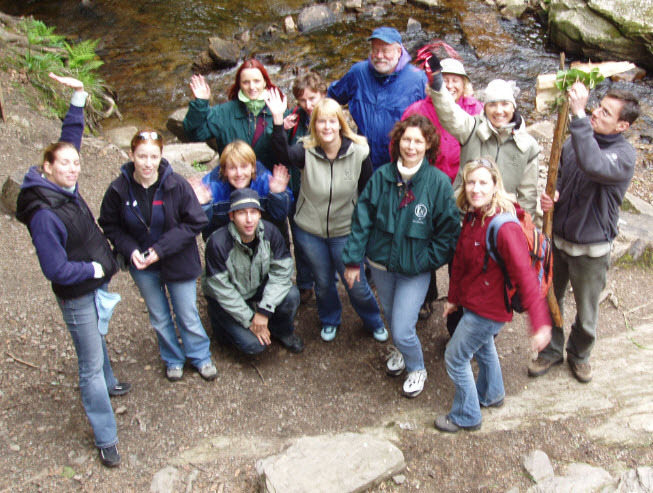 The ROI Institute has certified several thousand professionals to work in this area. 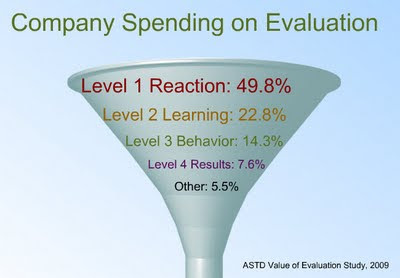 In 2009 they collected some very useful data on CEO preferences as regards training evaluation reporting. 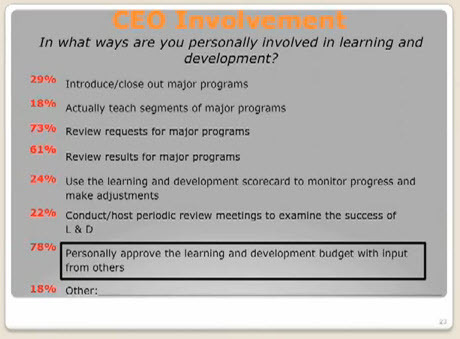 Of course, as Jack points out, although many training or learning professionals do not have easy access, in fact CEO are critical for the budgeting approval process. I would like to share with you a rare video-taped presentation of Jack Phillips presenting the results of the ROI Institute's 2009 survey. It was conducted for an ASTD Chapter Leaders conference in Autumn 2010. Details of the survey design and analysis are linked here. It is in 5 short segments (embedded from Youtube links) and addresses the key findings of the study - as well as recommendations for improving communications with Executive Suite as regards learning results.A written article in CLO magazine of the survey results is here. 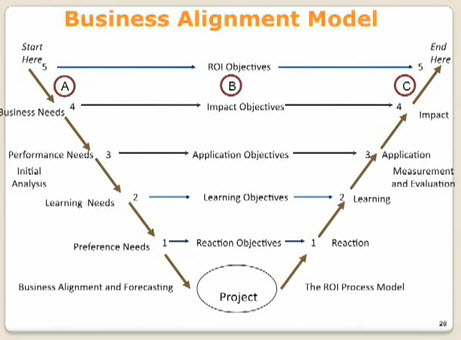 The ROI Institute uses a specific business alignment model for moving from the initial business need through 5 levels of training design and back out to insuring impact and calculating ROI on the largest investments. As well, there are some excellent free resources at this link. 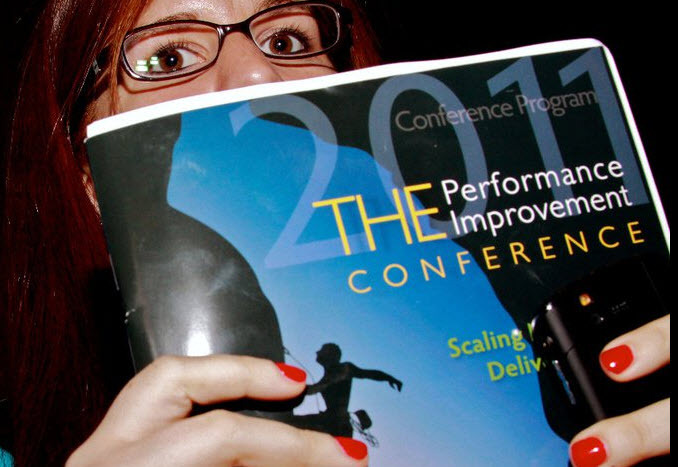 The 2011 theme was simple yet very profound: THE Performance Improvement Conference! Plus, this year ISPI launched a new Research-to-Practice Day! 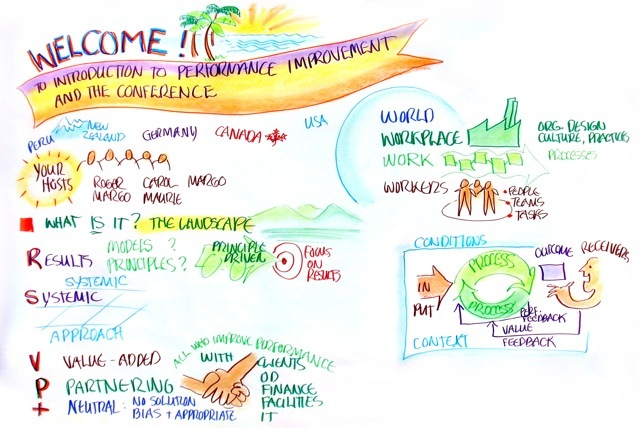 With the focus on performance technology, the International Society for Performance Improvement is in a position to be a powerful force for helping organizations successfully adapt to the ever-changing business environment. During THE Performance Improvement Conference, April 8-13, 2011, in Orlando, Florida, participants had the opportunity to learn from the many expert presenters sharing their thoughts on adapting to the current external environmental forces and applying and implementing innovations. Answers were found to some of the most significant problems many organizations are facing. There were many chances to share best practices, and network with the smartest minds in the industry from around the globe. 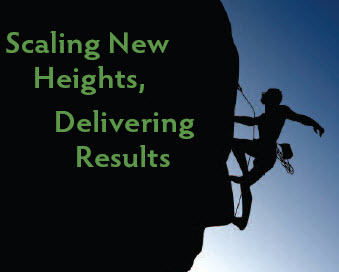 ISPI continues to shape the future of performance improvement through learning, sharing, working together, and networking. We gather great minds and practices from the environments where human performance technology (HPT), with all its potential, has so much to offer. This includes business, government, military, health care, academia, and other sectors. It is important to hear what they say, share your insights, help move our profession forward, and improve your performance. The knowledge available in this field is dynamic and growing. ISPI thought leaders are constantly adding to the foundations of that knowledge. 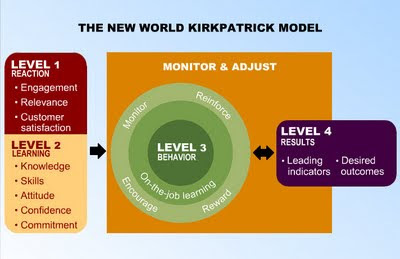 Every year active practitioners discover new ways to implement what has been learned so far. 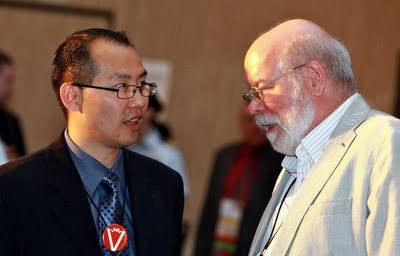 During the upcoming 2012 conference in Toronto, we will come together to learn and share. We will build on what we know already, improve our skills at applying that knowledge, and facilitate the creation of valued results for ourselves, our clients, our organizations, and society in general. Consider to join us.